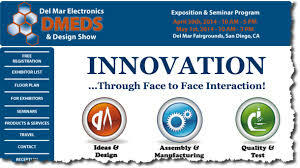 Lormac Plastics supported the 2015 Del Mar Electronics and Design Show with a supplier sponsorship . It was a 2 day event on May 20 and 21 at the Del Mar Fairgrounds. There was a fantastic turnout of over 4,000 attendees. There were a host of seminars, giveaways, and incredible products and services on display. It was a wonderful networking and learning event. Thanks to all who organized and participated in the show.